Keeping the old scheme I’ve used for Plague Marines also helps. I think it’s a little less complex than what Citadel suggests. I’m fine with that. My main concern is doing the scheme well and staying consistent with the quality level. I’m hoping that’s also helping me pick up speed. 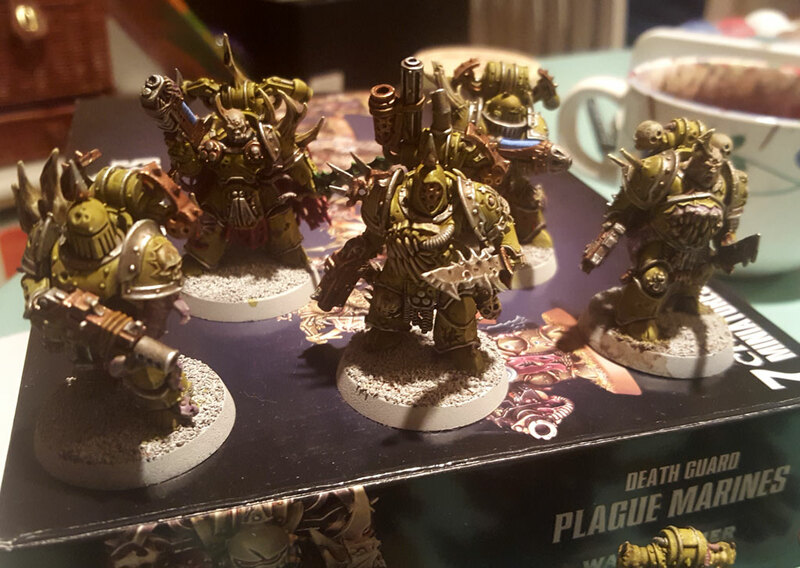 I’m using part of this group of Plague Marines as part of a vow for the E TENEBRAE LUX VI event over at The Bolter and Chainsword forum. The event allows users to pledge units for painting, and completions earn points. 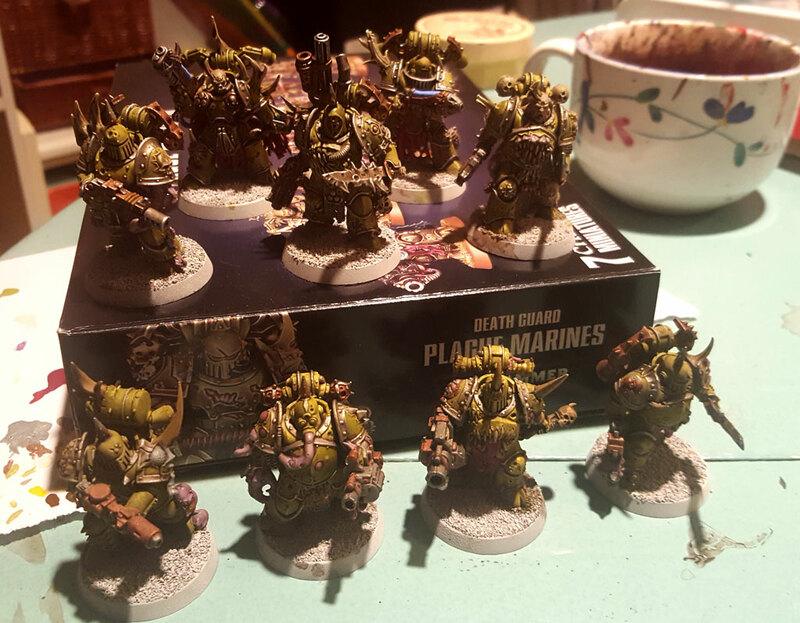 Since the Plague Marines are the biggest part of my vow, I’ve got a feeling I’ll finish this year’s event on time. Once I get all these done with highlights, I think I’ll use ‘Ard Coat again. It did a nice job of sealing up the last models I used it on, and I want to really protect these as well. Hopefully, I’ll have the highlights completed by the end of the weekend. Fingers crossed! Great progress! Looking forward to seeing how they turn out.